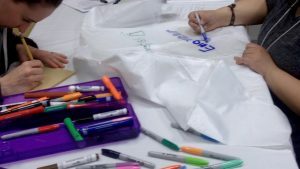 The University of Washington recently provided preschool teachers with Science, Technology, Engineering and Mathematics (STEM) professional development as part of their Early Achievers program. Approximately 300-400 teachers gathered to learn how to bring STEM into their preschool classrooms. 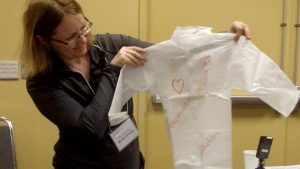 The hands-on training included asking the educators to explore STEM vocabulary and content by decorating disposable lab coats. Kim Votry is the Training and Curriculum Specialist for the Childcare Quality & Early Learning Center for Research & Professional Development. CQEL is part of a research and professional development center under the umbrella of the College of Education at the University of Washington. 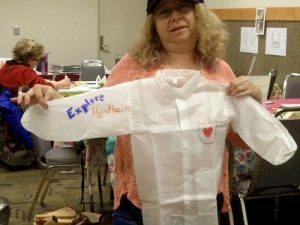 She said, “we used the lab coats in a session called STEAM-Powered Educators. 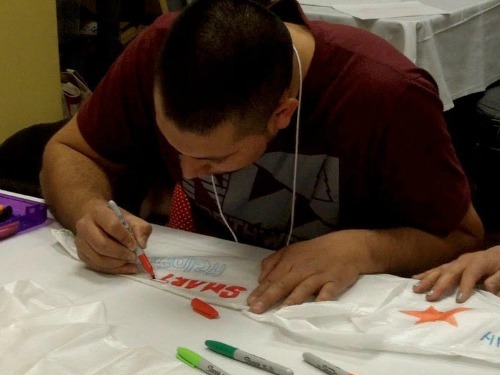 It was a super-hands-on workshop with activities to engage participants, but which would engage children, too”. Ms. Votry coordinated the STEM training where preschool teachers were asked to use the lab coats as a hands-on way to take notes during their highly interactive, project-based day of tinkering, inventing, exploring, and creating. The early childhood educators wrote STEAM-based vocabulary on one arm; STEAM-related job names on the front (e.g., engineer, architect, naturalist, biologist, mathematician, etc. ); science and technology learning objectives on the other arm; and project ideas (in words, diagrams, and pictures) on the back. Ms.Votry reported that the early childhood educators took lots of ideas back to their classrooms and family child care settings. 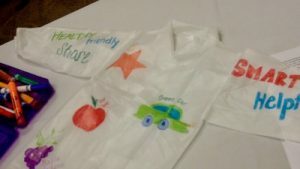 They had 25 participants in the session and they were encouraged to decorate the coats and take one home as a take-away gift. “They were a big hit!” We were stoked to know our lab coats had made such an impact. So Who are Early Achievers? Is it important to school our children before kindergarten? Why is the Early Achievers Scheme gaining momentum? Since 2015, Early Start Act was implemented to set a directive for providers to get children, from birth to age 5, ready for kindergarten, 3,000 + providers (in 36 States) have participated in the Early Achievers program, an Institute which is a hub of experts in early childhood development and education. CQEL collaborated with Child Care Aware of Washington and the Washington State Department of Early Learning to Produce these EA Institutes. Providers who are part of the program learn about best practices such as STEM, Infant and Toddler Care. Attendees gain working knowledge via workshops and mock classrooms to gain insight into Positive Behavior Support and child engagement. Sessions are offered to providers in English, Spanish and over a dozen other languages that are present in the school system. 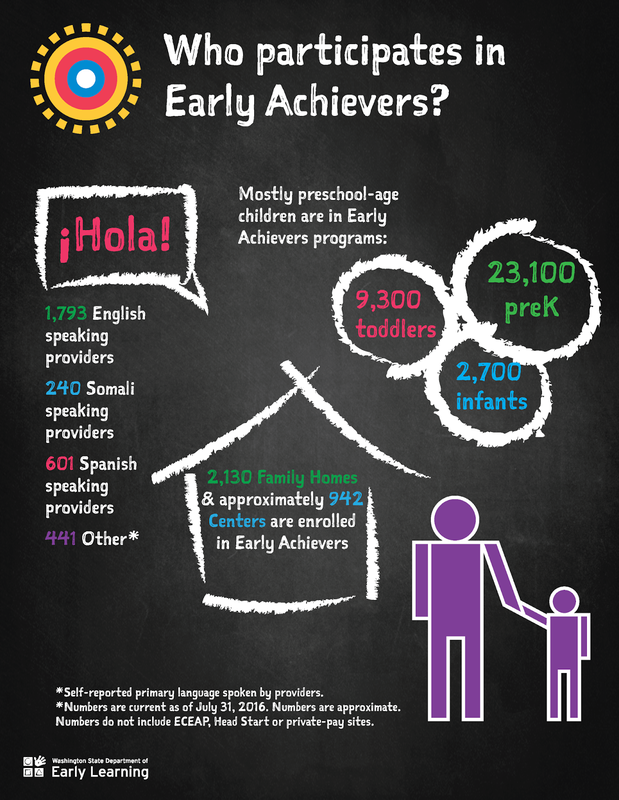 Regardless of race or family income Early Achievers is Washington’s program supports to early learning professionals with professional development training, coaching, and scholarships. Providers implement High Quality early learning via course work. This is all made possible in part by a $6.5 million donation from the Bill & Melinda Gates Foundation. The money goes to the education and implementation of evidence-based care and is rated by (QRIS) Quality Rating Improvement System.